As a material, stainless steel is a great option for a variety of plumbing fixtures. Urinals, lavatories, sinks, and toilets made from stainless steel are more resilient than ceramic or porcelain options. Stainless steel is made up of two or more chemical elements, making it an alloy. Stainless steel must meet specifications developed by the American Society of Testing and Materials which concern the mechanical properties of the material. Characteristics such as the toughness and corrosion resistance of the material are tested. Once the material meets or passes the standards set forth by the ASTM, it can be used to build efficient plumbing fixtures. All the Stainless Steel material used in our products are made milled in America, and it is first quality product. In order for waterless urinals to work as they’re meant to, the necessary materials and accessories must be used during the installation process. 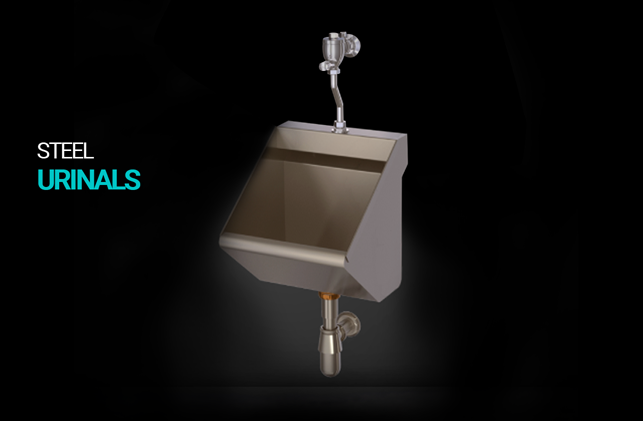 Stainless steel urinals from Stainless AD will ship with all the required accessories. Waterless urinals ship with materials made of stainless steel, latex, neoprene, PVC, plastic and rubber. These pieces work together to provide the desired results of usage and efficiency. Flushing urinals, such as collective troughs, require the appropriate valves to work as they’re supposed to. All the necessary materials will be included as well. Collective, flushing urinals will include time delay flush valves, urinal strainers, P-traps, as well as screws and wall anchors. Since these urinals differ from the waterless option, they require the necessary flushing mechanisms in order to work effectively. Stainless lavatories and sinks include strainers, P-traps, as well as screws and wall anchors. It’s important to point out that lavatories from Stainless AD do not include faucets. The materials used in the included accessories are efficient and reliable. The P-trap, for instance, is plated with brass chrome. This is the go-to option for P-traps. Strainers, similarly, include brass slips and lock nuts. The strainers included have drilled caps to avoid obstructions. This detail will cease any potential vandalism, while keeping the interior plumbing safe from any materials that may cause damage. Apart from urinals, lavatories and sinks, Stainless AD also offers toilets, grab bars, drinking fountains, work benches and tables. Due to stainless steel’s rugged yet appealing nature, it is an excellent choice for a variety of uses. This material is easy to clean and maintain. Stainless steel water fountains, for instance, boast a cleaner, more environmentally friendly environment for people to refresh themselves. Not only is stainless steel clean and beautiful, it’s also safer from vandalism than other building materials such as ceramic or plastic.